An action-packed international thriller in the spirit of Matthew Reilly When five superpowers put their heads together in the name of global political stability, the result is EXIt: the most deadly, secretive and efficient intelligence agency the world has ever known. EXIt specialises in the removal and replacement of 'problematic' people - be they political or religious leaders, scientists, academics or those with extraordinary talents. the EXIt mandate is simple: do it quickly and do it properly. Ray Cain is EXIt's most talented agent, a man trained specifically for one long-term mission in Pakistan. His task successfully completed, Cain now faces retirement in exile from the only existence he has ever known. then he is recalled for a final trifling assignment - a project that should be straightforward. But Cain finds himself at the centre of a gathering storm on the most inhospitable continent on earth. EXIt is about to implode - the stakes are high, the players deadly - and there can be only one winner . 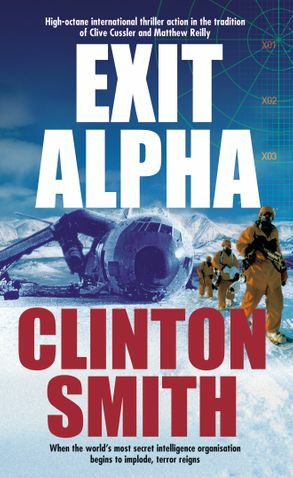 Clinton Smith has extensive experience in radio, film, television (copywriting, producing and directing) and is the author of two previous novels, The Fourth Eye and The Godgame, both of which have been optioned for film. He lives in Cammeray, NSW.